employees can easily make changes to the website. 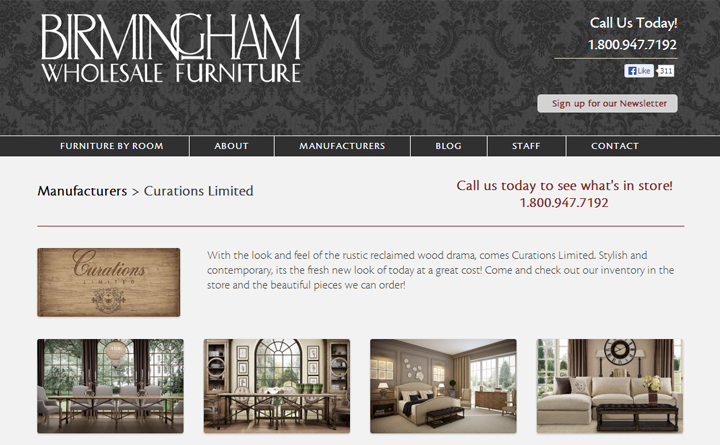 Without any knowledge of programming, they can add new staff members to the site, add furniture showcases and furniture manufacturers. 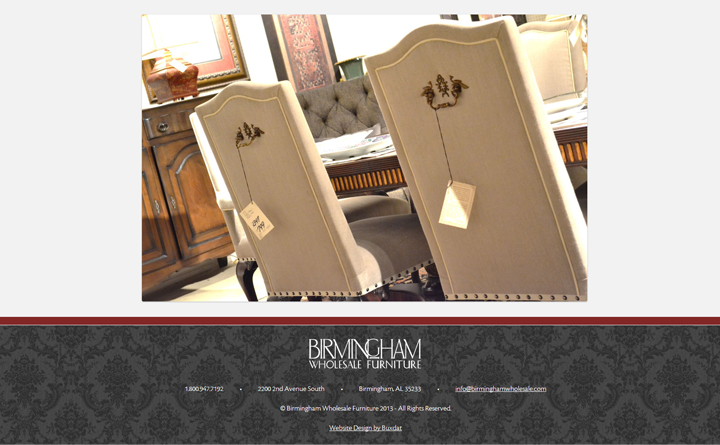 create an experience that kept the user on Birmingham Wholesale’s website. And with the main goal of eliciting a phone call or other contact, Huebris placed a contact call-to-action on every page. We also kept the navigation cyclical in nature. 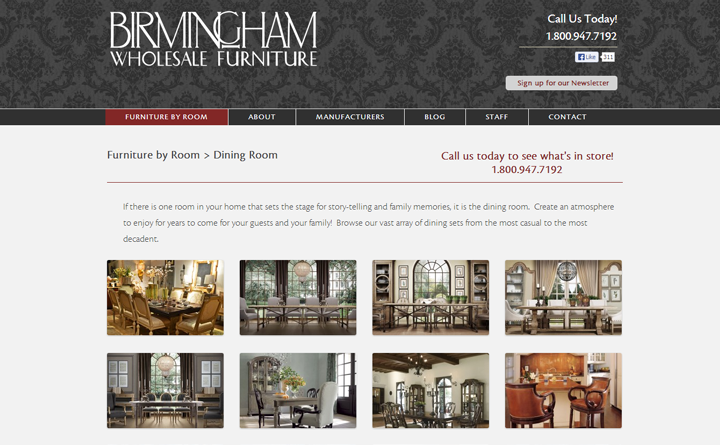 Visitors can view furniture by room, and switch to viewing by manufacturer at any time. 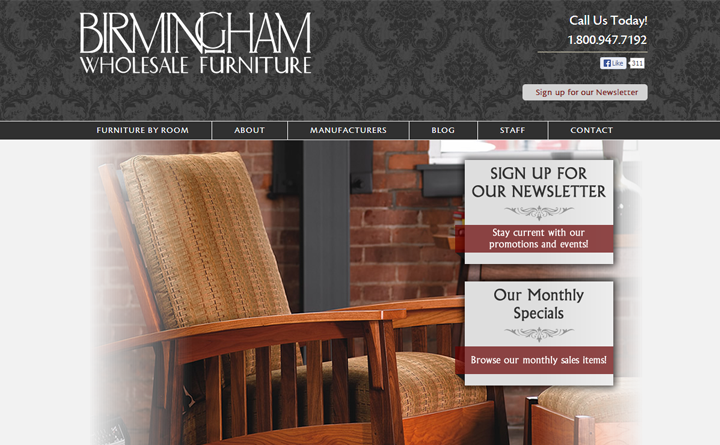 This website, like B’ham Wholesale’s physical warehouse, if fun to explore.